With a design inspired by the Paris Opera, the ‘Theatro Municipal’ (Municipal Theater) of Rio de Janeiro is the only Brazilian cultural institution to have a choir, a symphony orchestra and a ballet company. 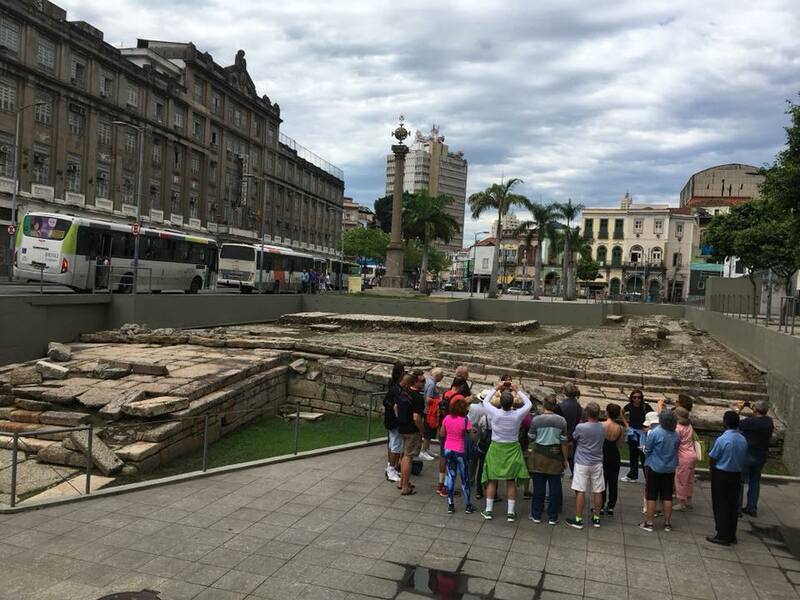 RIO DE JANEIRO, BRAZIL – This Friday, September 21st, at 4PM, the American Society of Rio de Janeiro are organizing a guided tour in English around Rio’s famous ‘Theatro Municipal’ (Municipal Theater) for only R$20 (R$10 for seniors). The Municipal Theater is one of the most spectacular buildings in Rio’s ‘Centro’ (City Center) and it remains one of the premier cultural venues in both Brazil and Latin America, photo courtesy of Alexandre Macieira/Riotur. While the tour starts at 4PM, the society will also be meeting for a 2PM lunch beforehand, at O Navegador, where everyone in attendance will receive a free caipirinha. “What I like about AmSoc events is that they get me out and about going to places I might not otherwise visit.” Comments Pamela Howard-Reguindin, member of the American Society of Rio de Janeiro. 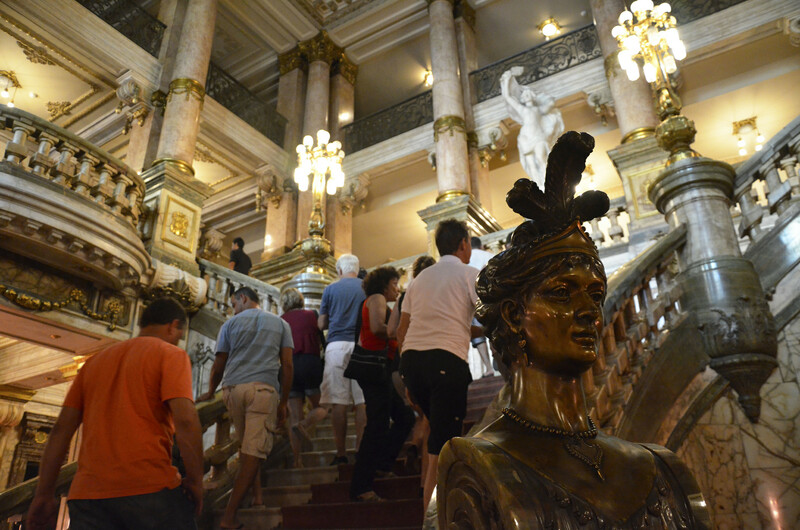 Inaugurated in 1909, the Municipal Theater has been the jewel in Rio de Janeiro’s cultural life for over a century. During this time, it has hosted such cultural luminaries as Sarah Bernhardt, Heitor Villa-Lobos, and Igor Stravinsky. More recently, the theater has received the Junge Deutsche Philharmonie and the Dresden Philharmonic Orchestra as part of its 2018 season. In celebration of its centenary in 2009, the Municipal Theater received extensive renovations, including the recovery and restoration of a sizeable original artwork by Eliseu Visconti, and the re-gilding of the imposing eagle that sits atop the roof of the building, which used around 8,000 sheets of 23-carat-gold. Its reopening in 2010 was a grand affair, attended by then-president Lula da Silva and mayor Eduardo Paes. The American Society of Rio de Janeiro enjoys a lively social calendar, including architectural tours, sponsored hikes and walks, happy hours and charity events, photo internet reproduction. Talking of that active social program, there are plenty more events on the American Society calendar for 2018, including a free guided tour in English to the Brazilian Handicraft Exhibition ‘CRAB’ on Saturday, October 6th. Plus, there’s always the famous Thanksgiving Dinner, which is taking place this year on Thursday, November 22nd. “The Society is a friendly crowd with a mix of Brazilian, American and international business types, academics, consular officers and other folks who enjoy living here for both short and long terms.” Howard-Reguindin concludes. Correction: The article has been changed to reflect that the walking tour takes place on Friday, September 21st.